The 11-year-old trial of a former governor of Oyo State, Chief Rashidi Ladoja, for alleged N4.7bn came to an end on Monday with the court reserving judgement. 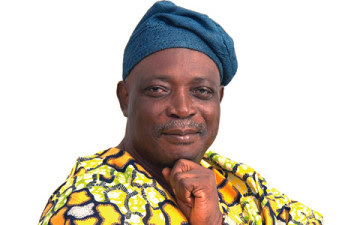 The Economic and Financial Crimes Commission in 2008 charged Ladoja with 11 counts, alleging that the ex-governor illegally sold Oyo State’s shares in some companies and diverted the proceeds. The prosecution alleged that Ladoja used the proceeds of the shares to, among others, offset the debt he allegedly incurred while battling against his impeachment in 2005. According to the prosecution, Ladoja purchased vehicles for Oyo State lawmakers and paid N370m to the lawyers he hired to challenge his impeachment in court. Ladoja was charged alongside Mr Waheed Akanbi, who was the Commissioner for Finance during his administration. On Monday, the prosecution and the defence adopted their final written addresses and canvassed closing arguments. Ladoja’s lawyer Bolaji Onilenla contended that the charges filed by the EFCC against his client were defective and were bound to be dismissed by the court. Onilenla argued that in filing the charges, the prosecution not only muddled up the offences, which ought to have been charged separately, the charges did not also disclose any substance. He said, “Where the essential elements of a charge are missing, such a charge is a nullity because in the first place, there is no charge and not even an amendment can cure it. “So, we urge Your Lordship to, on the basis of these objections, quash the charges. The court is urged to discharge and acquit the 1st defendant.” He argued that the EFCC failed to adduce any direct or circumstantial evidence to show that Ladoja’s former Senior Special Executive Assistant, Chief Adewale Atanda, acted under his instructions to meet with stockbrokers. “Though PW2 (Atanda) described the proceeds of shares as impeachment funds, PW3 and PW4 denied this. PW4, Oba Kola Daisi, said there was never any impeachment fund,” Onilenla added. On the allegation that Ladoja used N77.1m out of the shares’ proceeds to purchase a property, Quarter 361, Onilenla said Atanda in his testimony stated that a loan was taken to purchase the property. Lawyer for Akanbi, Mr Adeyinka Olumide-Fusika (SAN), argued that the case by the prosecution was fraught with inconsistencies, adding that the testimonies of the third, fourth and sixth prosecution witnesses were contradictory. Olumide-Fusika accused the prosecution of desperately searching for nonexistent evidence to “do my client in”, adding that the prosecutor, Mr Olufemi Olabisi, admitted that there was no case against Akanbi, but because the case file was only handed over to him to prosecute, “he found it difficult to advise them (Federal Government) to withdraw the charges”. According to him, Ladoja’s ex-aide Atanda, who the EFCC converted to a witness, was supposed to be the one on trial, not Ladoja and Akanbi. He described as “the height of attempt at injustice to leave Atanda” and prosecute Ladoja and Akanbi. But Olabisi urged the court to hold that “the prosecution has proved the essential elements of the offences charged.” “We pray the court to convict the defendants guilty as charged,” Olabisi said. Justice Mohammed Idris thanked them “that this matter has been concluded”. YOU MAY ALSO LIKE: Appeal court declines Onnoghen’s plea to suspend CCT trial “The burial is the judgement. It will be buried finally,” the judge said, adding that the judgement day would soon be communicated to the parties.